First-class camping & apartments in Vinschgau near Stilfserjoch National Park, sport facilities, restaurants & many more included services! 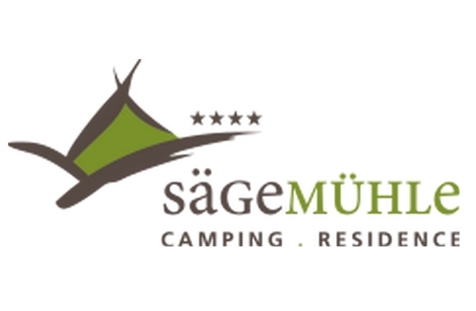 Welcome to Camping Sägemühle**** in Prad am Stilfserjoch! Our family-run and fully equipped Camping Sägemühle**** is located in the beautiful natural landscape of Prad am Stilfserjoch. Here you can enjoy a wonderful view of the surrounding mountains and numerous leisure time activities like hiking, cycling or skiing in winter. The holiday facility, with its holiday apartments, is situated on a well-tended green space and offers every comfort you need for a completely carefree camping holiday with the whole family. Besides countless possibilities for sport and to play, like a fitness room, an indoor pool, a children’s playground and the rental of equipment for various sports, we offer our guests a café-restaurant, a dinner restaurant, a pizzeria, a supermarket and facilities to wash and dry clothes and ski equipment. Furthermore you can enjoy free Wi-Fi on the whole campsite and a lot of additional services, which will make your holidays in Vinschgau an unforgettable experience. Our campsite is located nearby the national park Stilfserjoch and the impressive Ortler massif. 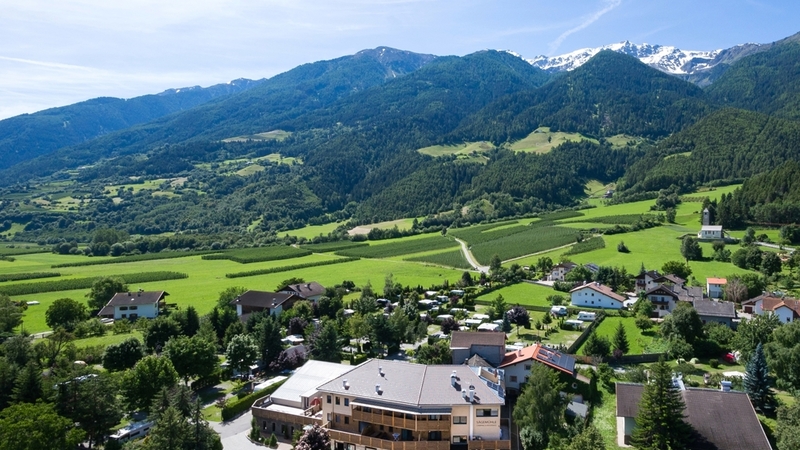 So it is a perfect starting point for exciting trips and activities in the unique mountain landscape of Vinschgau in winter and summer.